The House of Sparkling. Win gems worth $8,500 each! For more than 40 years, Yellowglen has been Australia’s Premier House of Sparkling Wine. I can remember my first glass of Yellowglen Brut Cuvee in November, 1993. It was at a Melbourne Cup party and I had not long turned 18 years of age. Yellowglen was to start a love affair of sparkling wines that has lasted until this day. In their new campaign, Yellowglen is transporting Australian sparkling fans to a world of wonder, imagination, heritage and innovation with a launch of The House of Sparkling, a mysterious and enchanting online space at www.yellowglen.com where visitors can discover Australia’s Premier House of Sparkling. How amazing is the video for the Yellowglen House of Sparkling campaign? With an old Hollywood/ Fred Astair feel to it, you can’t help be swept up in the magical essence of the campaign. As part of the launch of this new campaign, Yellowglen has unveiled the first room of The House of Sparkling, featuring a glittering chandelier which houses 30 precious gems at its heart. The chandelier featured in the video above. The centrepiece of The House of Sparkling is a chandelier like no other. At its heart lies a carousel decorated with diamonds, rubies, morganites, spinels, tanzanites, aquamarines and sapphires. Those who visit The House of Sparkling before 4 April 2013 can enter the draw to win one of these gems. There are 30 precious gems to be won in total, each gem with a value of over $8500, and 10 prizes available to be won in each draw. 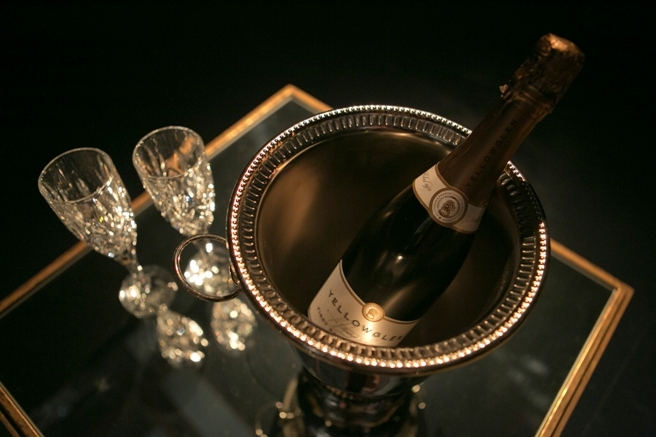 For your chance to own a piece of The House of Sparkling, simply choose your favourite gem in each of the three draws. You can enter here: www.yellowglen.com Good Luck! !